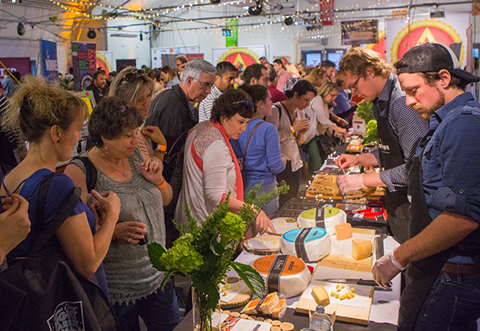 Take your understanding of cheese and dairy to the next level by joining a seven-hour guided tour on the day before The Great Canadian Cheese Festival. The guided tour in a comfortable bus will take you through the rolling hills of Northumberland and Hastings counties, to a pioneering water-buffalo farm, a leading-edge robotic dairy farm, an excellent museum of agricultural heritage, an award winning microbrewery and a community livestock exchange sale barn. Don’t delay as tickets are selling quickly. Last year, the tour sold out. Click here to order your tickets today. Bay of Quinte Region includes Prince Edward County and #TGCCF in Picton. The Dairy Building in Farmtown Park. You will learn the history of cheesemaking at Farmtown Park. Your tour guide Jack Rushnell, former president of the Hastings County Museum of Agricultural Heritage, will give you a tour of the Dairy Building. The museum has one of the most comprehensive collection of artifacts used in cheese and butter making in Ontario. Enjoy a picnic lunch and a tour of the farm at Ontario Water Buffalo Company in Stirling, Ontario with your hosts Martin Littkemann and Lori Smith, who have been milking water buffalo since 2008.From newborns to milkers, you will get to know them all by name. The rich milk from the herd of 200 water buffalo is shipped to Quality Cheese where it is turned into Mozzarella, Scarmorza and Ricotta.If you attended the Cheese Festival in prior years, you will remember Yvette, who captivated the hearts of children and adults alike. Enjoy a lunch, a tour of the farm and shopping in their new on-site store. Lori says you will need more than one bag to take home all the goodies. 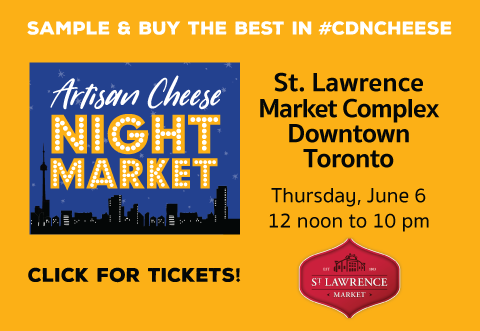 Attendees on the tour will be provided with one large insulated tote bag, but be sure to bring some extras if you want to stock up on water-buffalo cheese and meat products. The Watson Family has been farming at the Sunnybrooke Farms location near Campbellford for over 5 generations. The modern robot dairy facility is managed by Ron and Lorna and their son and daughter-in-law – Lynn and Tara. They currently work 400 acres growing corn, soybeans, hay and wheat. The robotic labour-saving process is simple enough: Pellets cattle find tastier than the feed available elsewhere in the free stall environment-the “candy … they crave” contains a lot of the “starch and energy” in their diet. Lynn said it entices them to enter the unit where a sensor detects the animal’s presence. A robotic arm cleans its teats, attaches a milking machine, and removes the device when the milking is done. The cows, in effect, set their own schedule but an identification tag that each wears is read by the unit to prevent frequent feedings and ensure they’re being milked at appropriate intervals. Founded in 2000 by John Graham, Church-Key Brewery was the first microbrewery in picturesque Northumberland County, situated in an 1878 Methodist Church on the outskirts of Campbellford, Ontario. Church-Key Brewing features a variety of award winning hand-crafted ales. All of our ales are made in small batches from four simple ingredients: malted barley, hops, water and yeast using local Ontario ingredients. Sampling will also include Church-Keys gluten free Honey Mead. Hoards Station Sales Barn was built in 1949 and the auction method of price discovery here hasn’t changed much since the first auction was held outside with a snow fence as the ring. 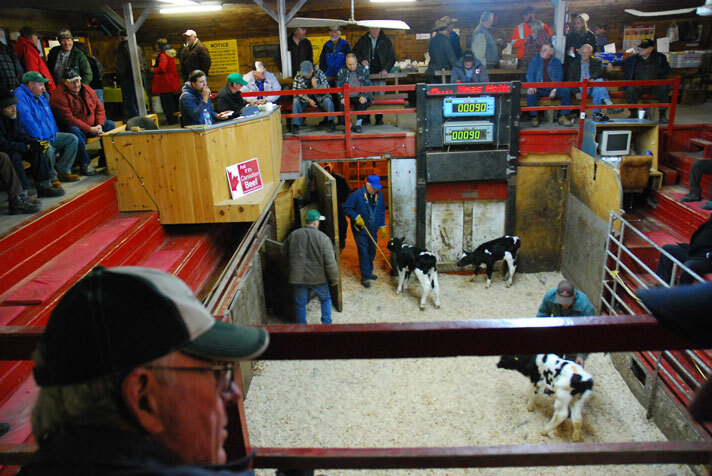 Hoards Station is one of the only sale barns in Eastern Ontario that has 3 rings running simultaneously. Learn how and why farmers buy and sell livestock, and the DeNure family, a 3rd-generation family of auctioneers will give you a demonstration of how a live auction takes place. The tour will be departing from D & K Heating on Highway 62 North in Belleville in the south side of their parking lot promptly at 10 a.m. Look for the Foley shuttle bus. Tickets must be purchased in advance. Only 6 seats left.